A stunning example of a beautiful period home, sympathetically brought into the 21st century to allow all the modern comforts you desire to compliment endless character features such as tall ceilings, box bay windows and beautiful fireplaces… Perfectly nestled beyond a gated driveway, this handsome home certainly offers the curb appeal you have been looking for. 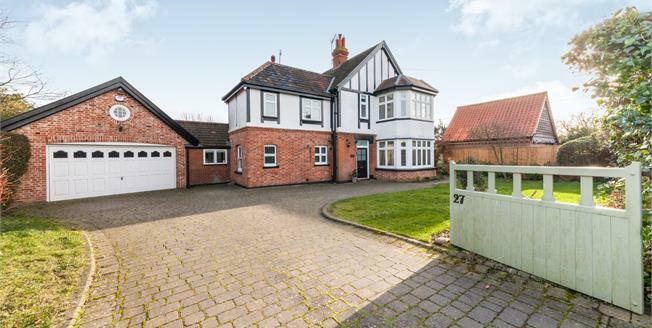 A stunning period home, beautifully modernised throughout. Perfectly nestled away from the road. Fabulous open plan kitchen/breakfast room. Stunning tall ceilings, box bay windows. Four double bedrooms, all from the spacious landing. Double garage, ample parking and outbuilding. Modern comforts combining a wealth of character. Beautiful open aspect to the rear of the garden. Sought after location, close to town.